If you have ever bought or sold a property, then you surely know how the Real Estate business works. Generally, the real estate agent provides a long list of properties to the client. The long process continues which include; explanation about the property, negotiations and finally the real-life visit to the property. This workflow has remained the same for quite a few years, but in fact, it’s inconvenient and tedious not only for realtors but for the potential buyers as well. However, Virtual Reality has turned out to be a game changer and it’s slowly changing the way the Real Estate sector works. The power of VR technology is already helping real estate companies grow their business, get more clients, and deliver top-level services. Likewise, it is benefiting the customers in terms of time-saving, global search and more. According to Goldman Sachs, Virtual Reality alone will be an $80 billion market by 2025, and $2.6 billion coming alone from the Real Estate industry – that’s a big number! We’re here to tell you what you can expect from VR in the Real Estate industry, 2019. Virtual Staging on the Rise: If you get to view a property full of furniture, looking warm and appealing or an empty property without any furniture, which one of these is easy to make a deal? The answer is quite obvious. According to the survey, around 72% of the real estate companies agreed that staging has helped them to generate more leads. The number is surely going to shoot up in 2019. Virtual Instructions for the Owners/Tenants to Upswing: In 2019, we can see a rise in Virtual Instructions about the property. Communicating with the owner or the tenant is an easy task but it gets annoying when the person keeps calling to ask about a certain switch or how to operate the chimney. This can be problematic for businesses that offer short-term vacation rentals. Virtual Reality tours help owner/tenants understand how utility services at a property work so they can avoid difficulties and unnecessary contact with realtors. VR technology is primarily useful for the vacation rentals industry due to high turnover rates. Virtual instructions improve the customer experience and offer ease of doing business to the realtors as well. Growth in Virtual Commerce: You cannot imagine future of Virtual Reality for Real Estate without VR Commerce. Though Vrcom is not new to the industry, it is a very important element of VR and on growing technology used by the realtors. It helps you make changes to the home interiors by simply going to the virtual online store and choose a different piece of furniture or an add-on. Increase in Architectural Visualization: It has always been a challenge for real estate developers to market a property that isn’t constructed yet. You must have seen or come across three-dimensional models that show a new property or neighborhood. These models help end buyers imagine the architecture. Virtual Reality has made architectural visualization much cheaper and immersive than before. Through VR technology, Real Estate agents can show both interior and exterior of the property that isn’t built yet, it gives the client a clear idea of what’s being offered to him. The technology is sure to grow and widely adopted by the Real Estate industry. 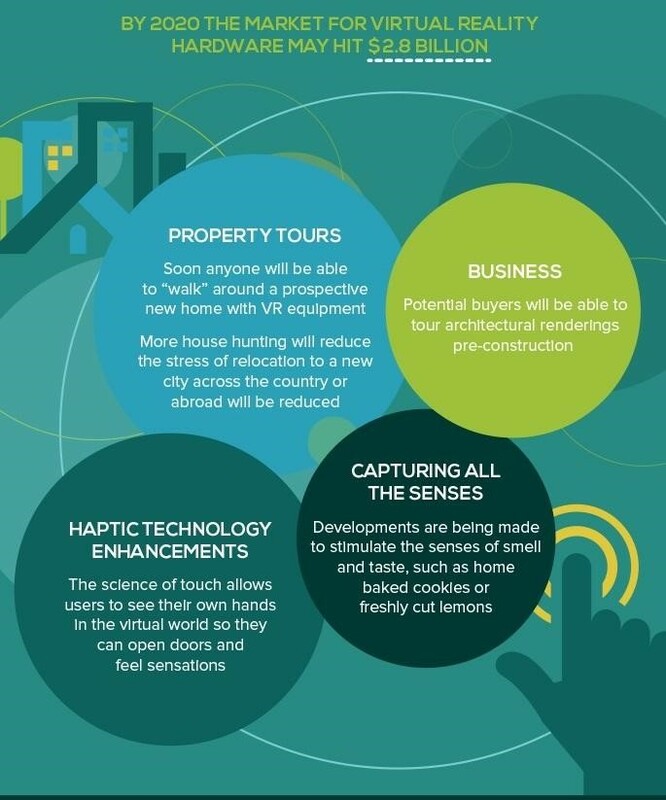 To conclude, Virtual Reality is already changing the face of the Real Estate sector. 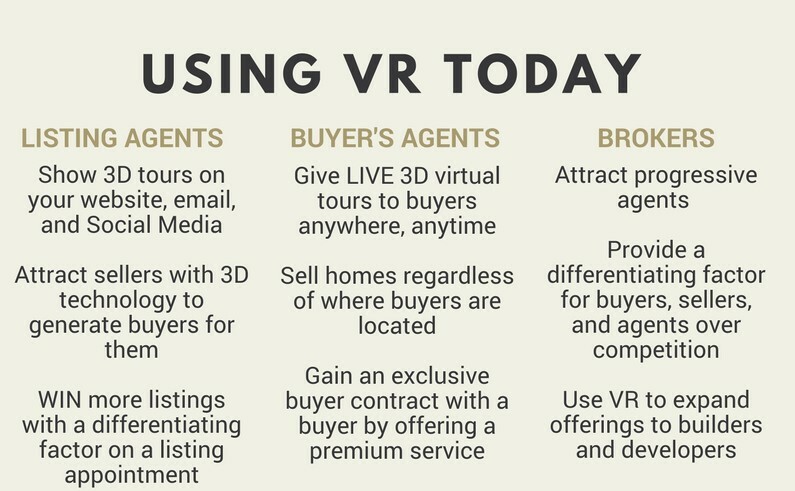 More realtors are likely to get benefited from VR by making their work efficient and generate more leads. It was considered a “science fiction” looks to be the next big thing. Not only for architects and designers but for the whole Real Estate industry. Have a VR project that you would like to discuss with us? Please fill out the form below. We’d love to hear from you!